There are entirely too many festivals and events in Maine in August. Today, for example, the Schoodic Arts Festival is still going on. So are Patten Pioneer Days. Other choices are the Acadian Festival in Madawaska, the Skowhegan State Fair, Forest Heritage Days, the Bethel Heritage Festival, the 30th Annual Maine Antiques Festival, the Winter Harbor Lobster Festival, the Wooden Arts and Canoe Festival, the Carrabassett Summer Festival, the Frenchboro Lobster Festival, and the Winslow Blueberry Festival. Wilton had their Blueberry Festival last weekend and more celebrations of the Maine blueberry are scheduled later in the month. It’s a toss up which Maine food is honored by more festivals, the lobster or the blueberry. Faced with more than one tempting possibility on any given weekend, I often end up staying home and reading a good book instead. That may be because there was a time, when I was younger and more spry, that I attended some festival or other just about every weekend. That was back when my husband used to play the bagpipes. You rarely find a festival without a parade and if there is a parade, even one piper is a popular additon. A pipe band is always a hit. Who doesn’t like men in kilts? Back in the day, I was mostly supportive spouse, lining the street with the rest of the crowd to watch the parade go by. But I’ve never been a good spectator and before long we decided to start our own local pipe band. 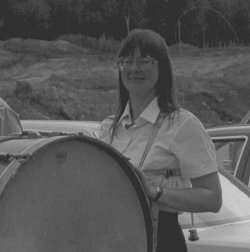 I don’t have the lung power for the pipes, so I volunteered to learn to play the bass drum. Sad to say, this experiment didn’t last long. Creative differences did us in. But the experience was one I don’t regret for a moment. It was also fodder for future mystery novels. 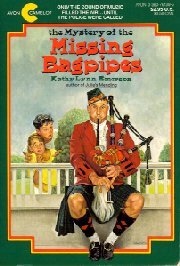 The first time I used bagpipes in my fiction was in a children’s book, The Mystery of the Missing Bagpipes (1991), for ages 8-12. It opens with the heroine, hands over her hears, shouting, “I hate the sound of bagpipes!” People do seem to have strong feelings on this subject. They either love them or hate them. Of course, badly played, the sound is excruciatingly painful to listen to. In the case of my character, Kim Hanlon, it is her father who plays the bagpipes and her real problem is that she, like me, isn’t content to be just a spectator. Flash forward more years than I want to admit and I reached a point in my career when I was mulling over ideas for a new mystery series. The title popped into my head first: Kilt Dead. All I needed was a story to go with it. That was the hard part, and I considered and discarded many possibilities before I finally came up with the premise for the Liss MacCrimmon Scottish-American Heritage Mysteries. Liss does not play the bagpipes, although her father, too, was in a bagpipe band. 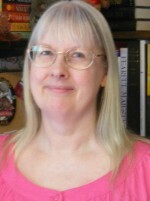 As a girl, Liss entered Scottish dancing competitions. When Kilt Dead opens, she’s been a professional Scottish dancer for ten years, but her career is about to come to an abrupt end. When she injures her knee, she returns to Maine to recuperate and that brings me back to things to do in this state in August. 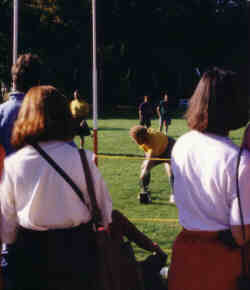 The third Saturday in August is the day of the Maine Highland Games and Scottish Festival. Its main competition is the Great Falls Balloon Festival. 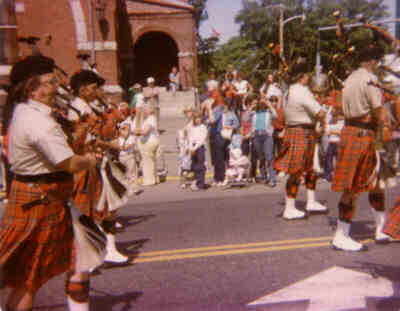 I’ve been to quite a few Scottish Festivals over the years, in Maine and in other states. They are fertile ground for murder and mayhem as well as good old fashioned fun. Liss participates in a fictional Maine Scottish festival in Kilt Dead, running the Moosetookalook Scottish Emporium booth for her aunt. The highland games might have played a bigger role in the story, but another writer had used that setting in her humorous mystery series (Sharyn McCrumb’s Highland Laddie Gone, 1986) and I didn’t want people making comparisons. Still, the mileau is a tempting one, and in the Liss MacCrimmon mystery that will be out in 2012, Liss’s sixth adventure, I’ll be revisiting my fictional Western Maine Highland Games, two years after the events in Kilt Dead. That, of course, gives me a great excuse to do research next weekend, not that I really need to refresh my memory of the stirring sound of the massed bands, or the sight of uniquely Scottish athletic competitions like the caber toss. And while the piping competitions are taking place, there will be other performers competing, too . . . in highland dancing. Liss MacCrimmon would feel right at home. This entry was posted in Kaitlyn's Posts and tagged bagpipes, festivals, Kaitlyn Dunnett, Kathy Lynn Emerson, Kilt Dead, Maine, Mystery of the Missing Bagpipes, Sharyn McCrumb. Bookmark the permalink. 5 Responses to Festivals, Parades, and Bagpipes . . . oh my! For me, it was the Rockland Lobster Festival, the Maine Blueberry Festival at the Union Fair, and the Fourth of July parade and fireworks in Thomaston. Still trying to get to the Common Ground Fair. Next summer, I’m going to make a calendar early and mark out days for these things. The other wonderful summer events that I like to go to are art gallery openings. We went to Rockland last summer, to stroll through a dozen galleries, and this year to a Stable Gallery opening in Damariscotta. They make me wish my pocketbook were fatter and my walls weren’t full. Last summer, we went to a wedding where the bride’s father and uncle wore kilts, and the couple was piped in with a bagpipe. It was quite splendid. Oh, what a great reminder, Kaityn! I’ve been wanting to get to the Maine Scottish Festival for the past ten years, but haven’t so far! Maybe this year. Last fall Bob & I did spent a day at the Fryeburg Fair, which was great fun, and we’d like to get to the Common Ground Fair (September 23-25 in Unity) this year. 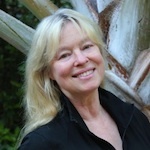 (Common Ground is the fair that highlights organic farmers and gardeners.) We also spent a wonderfully evil 3 days attending every event at Harvest in the Harbor last October – a series of buffets and meals prepared by Maine’s finest cooks. No bagpipes, though. Since Bob is an artist, we DO make a lot of gallery openings, year round. 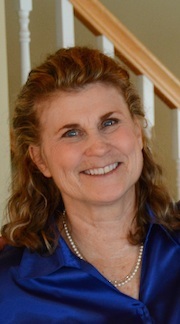 And thanks, Kate, for mentioning the Stable Gallery – next opening there is August 19, 5-9, Damariscotta. We’ll be there. (Bob is a part-owner and shows there.) Another on my list of “some day to do” is the Yarmouth Clam Festival. Mmmm. So many possibilities …. Another reason I’m a winter person. It’s quiet. And there are many people … happy people, ugh … out and about. Oh, bagpipes…love ’em! I generally only get to hear them on the 4th of July, but one year a girl across town played, and practiced often. Hearing the sound from a distance was a whole different experience for me. Haunting. 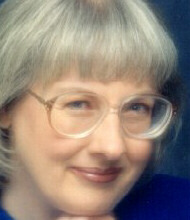 Kathy Lynn/ Kaitlyn, I keep learning more and more about you. What a neat person you are. 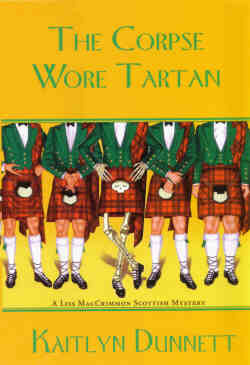 My background as a piper and member of a couple Scottish organizations really inspired me in writing my book. My son and I used to play our bagpipes outside the back garage overlooking our lake which was surrounded by forest, and when we stopped, we could hear clapping through the trees. Yes, haunting is the word that comes to mind. What can I say, I love the sound of the pipes!